Spring does something to the senses of people filling the air with a special inexplicable something that makes you want to turn yourself inside out. And No… it is not allergies! It is a feeling that makes you want to look as colorful as you feel and this bubbling energetic sentiment seems to extend way into summer, mid autumn and sometimes beyond. Women usually have till date, enjoyed an upper hand when it comes to wearing colors of spring leaving men lingering along the fringe with shades of blue, grey, blue, white and an occasional brown. 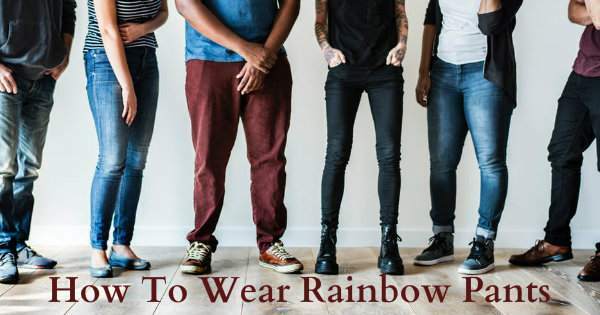 The good news is wholesale men’s clothing suppliers have taken ample clue from the ramp as to how to bring the rainbow down on men’s shoulders without making things look a little over the top or outright awkward. Making things better, rainbows are seen to descent just as confidently on men’s casual trousers as on their top wear options; a step in fashion evolution that has been welcomed by millions of men all around the globe. The question that the latter have been asking though is how to get the style right without creating moments of regrets? Colorful pants for men are available in just as many colors as you can imagine stretching right from cool neon blues to flaming coral reds, peach pinks, brick and rust, lime green and many more. You need to choose a shade that compliments your natural skin tone. Always choose matt materials like cotton and premium linen to make these often outrageously colorful options look classy. Many wholesale clothing suppliers are piling up on affordable yet high quality colorful linen pants which are worth purchasing. Pair colorful pants with neutral shirts / t shirts than choosing contrast shades or same colors. If you wish to create a color block effect, any one of your chosen top wears should sport a neutral color.